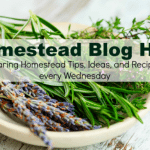 Welcome to the Homestead Blog Hop! 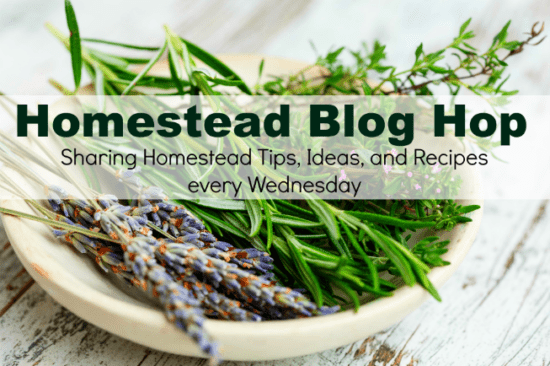 Homestead Blog Hop will take place every Wednesday and is for all things homesteading: real food recipes, farm animals, crafts, DIY, how-to’s, gardening, anything from-scratch, natural home/health, self-sufficiency, self-reliance, natural remedies, essential oils, & more! Basically anything related to homesteading. Congrats! Feel free to grab the featured on button for your post. Click on the “Add your Link” Button below and add a great image of your project or recipe. Make sure you link to the page of your family friendly post – not the main page of your blog. Link up to three posts each week. Try to visit at least a few other blogs at the party. Be sure to leave a comment to let them know you stopped by. 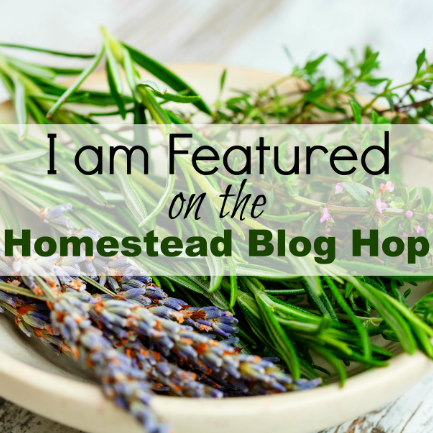 Link your post back to the Homestead Blog Hop. If the hop isn’t linked to your post then you cannot be featured. All featured posts will be shared on all hosts’ social media channels. Please link up posts that you haven’t linked to the hop before. You are welcome to link old posts from your blog. 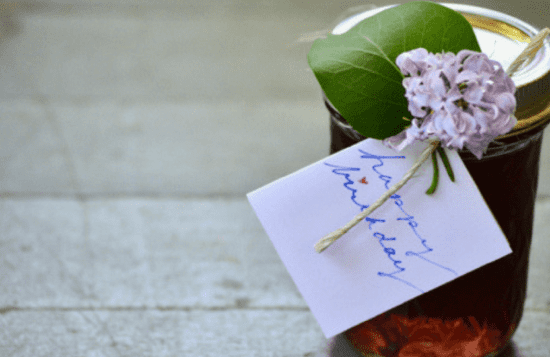 By joining the party, you are giving the hosts permission to use one photo from your post with a link back to your site if it is selected as one of next week’s Features. This is a family-friendly link up meant to inspire and motivate the homesteader in all of us. 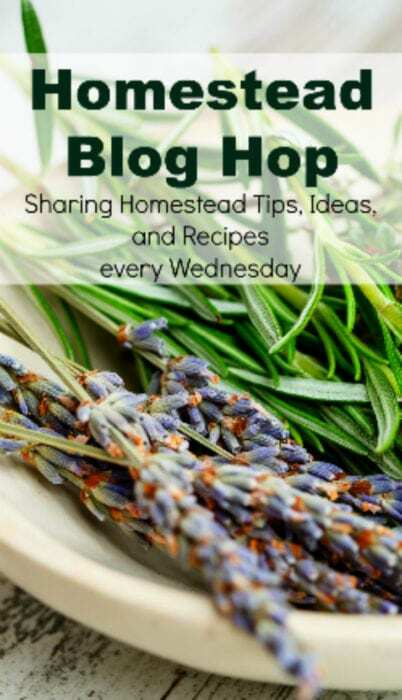 Follow us on Pinterest and send me a message that you’d like to be added to our Homestead Blog Hop group board. The only rule is to only add posts that you’ve also added here. We are a small, traditional values family living on 85 acres in an underground passive solar house in the beautiful rolling hills of North Carolina. Our lifestyle is one of living off the land and utilizing "lost skills" that were once commonplace. We grow a good portion of our own food, forage for wild edibles, hunt, raise livestock and preserve the things we harvest. 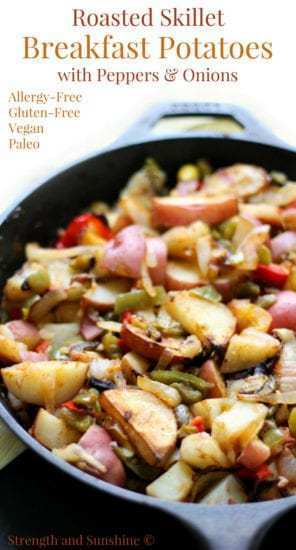 We cook on an old fashioned kitchen woodstove and have foregone the trend of solar power and generators because of the dependence on batteries and fuel that must be obtained commercially. Instead we have chosen to position ourselves to live without electricity if necessary. By simplifying, we have carved out a lifestyle that enables us to be self-sufficient, live off the land, and enjoy the solitude that comes with being somewhat "out-of sync" with the rest of the world. In addition to Amazon, affiliate links to products from other companies may also be found in this post. In accordance with FTC guidelines, we will make every effort to point out these links so that it is clear that they are part of an affiliate program. All photos and posts are the property of this website. Live The Old Way (LTOW) and its owners grant non-exclusive use of one photo and up to 50 words from posts on this site. Any use of material in this manner must be accompanied by clear attribution to LTOW and a link back to the original post on this site.